Berekum Chelsea have announced the signing of Patrick Awunie ahead of the upcoming 2017/18 Ghana Premier League season. Awunie joined the Blues on a three-year deal from lower division side Action United after impressing the club's hierarchy. The former Ghana Premier League champions confirmed Awunie's signing courtesy their official Twitter page on Thursday. 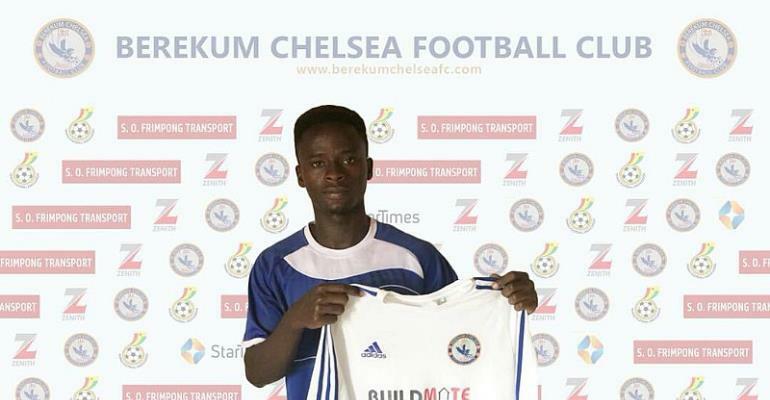 #Bkcfc signs Patrick Awunie from Action United Sunyani. The winger joins the #blues! 💙 on a ✍🏾 3 year deal.